Let's face it. When you say that you are playing board games alone, people will look at you funny. Even more so in cultures where playing board games is not a usual hobby, and board games are translated roughly as social games (games you play with other people). Why the people have the prejudice about solo board games when it's OK to play video games solo? Probably because first popular board games started as multiplayer and with video games, it's the other way around. Solo gaming has become mainstream. More and more new games have solo rules, especially cooperative games. Even the competitive games are getting this option, where the player can face the AI of sorts, like Automa in last year's Scythe. And yes, there are one player board games only, like the popular Friday board game. Do you love to play solo games, or you want to try? 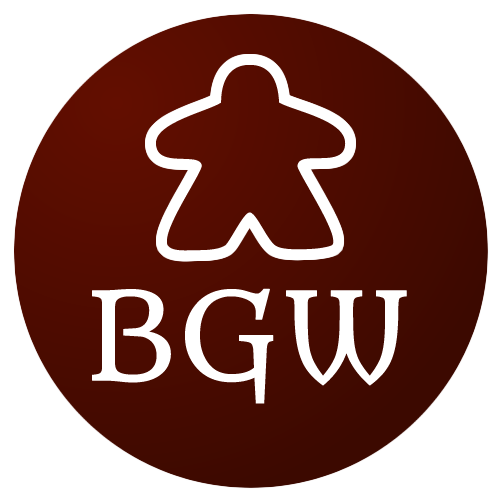 Why not joining 1 Player Guild on BGG? While there, also check 2016 People's Choice Top 100 Solo Games geek list. This Lifehacker article by Patrick Allan is also a good start. Of course, browsing around and playing on Tabletopia or some other digital platform is also a good choice. Owen Duffy from The Guardian is writing about new board games - Adrenaline, Kanagawa and The Extraordinary Adventures of Baron Munchausen - in their monthly roundup. BoardGamePrices.com in partnership with GeekDad bring us their top picks for upcoming board game releases in February. One of the next games to be coming from Cool Mini or Not was one that got a lot of hype when it was announced last year at Gen Con. Asmodee announces a new game of Dice Crafting and Divine Quests called Dice Forge. It's a two to four players game from Libellud. Charlie Hall from Polygon writes about Asmodee's push into digital space with as many as 20 new mobile board game adaptations and ports coming this year. Tom, Sam, and Zee from The Dice Tower discuss some critical darlings - and why they need to be knocked down and dethroned! 5 Best Adult Board Games: Grown-up gaming at its best! Tim Thompson lists of Board Game Beaver his 5 favorite adult board games, a genre that was made famous by Cards Against Humanity. An interview with Final Frontier Games about their worker placement game called Cavern Tavern, experience during and post-KS campaign, and an upcoming game from them. Best games of 2016 according to Nick Meenachan from Board Game Brawl. Carcassonne is one of the most popular and well-known board games. It’s one of my personal favourites and was the first “proper” board game I ever bought for myself. In 2014 the Carcassonne art was completely overhauled for a new release. The artist chosen for this rework was Anne Pätzke who was kind enough to talk to us about her work including the Carcassonne art. So please enjoy this interview with Anne about the Carcassonne art! Tahsin Shamma from Board Game Quest writes about his top 10 area control games. Many mechanisms in board gaming have a wide variety of forms. Deck building in the City of Iron is not the same as in Dominion or Ascension. Set collection in Zooloretto is a different beast than in Tokaido. Similarly, area control has dozens of varieties and very often it is one of many mechanisms in a game. A big box 4X game by Scott Almes for 2-6* players that plays in 2 hours, features highly detailed miniatures, and cardboard constructs. Unique dice, hero classes, battles, upgrades, & glory! Play 1v1, 2v2, or free-for-all in this 20-30 minute action packed game! A completely unique board game with Amazing minis, scenario-based gameplay, and gorgeous art. Action, Adventure and Mayhem await! Wizards compete against one another to slay the most monsters while working together (or not) to survive the dungeon! TableTop: Wil Wheaton plays MONARCH with Ashley Clements, Brea Grant, and Satine Phoenix! Finally! TableTop Season 4 continues, with Wil Wheaton hosting a game of Monarch! Joined by Ashley Clements, Brea Grant, and Satine Phoenix, the four have to channel their inner princess and claim the crown! A review of Kanagawa by Baden Rone of Wolf's Gaming Blog. Kanagawa is a new card drafting, worker placement game codesigned by Bruno Cathala and Charles Chevallier. Ricky Royal reviews In the Name of Odin by NSKN Games, a strategy game for 2-5 players, each with a claim to become the new Jarl. Shut Up & Sit Down review of Deception: Murder in Hong Kong, a game of deduction and deception for 4-12 players that plays in about 20 minutes. Board Game Sanctuary reviews Terraforming Mars, a card management, tableau building, engine building board game where players take control of various corporations as they compete for projects to terraform Mars to raise their corporation's terraform rating and thus win the game. Some games shouldn’t exist. Those games with an origin story so unusual that makes their very existence incredibly unlikely. Riot games have made billions of dollars from the stupidly popular video game League of Legends. Amazingly, it is also the only game they have ever made. Until now. Vlaada is definitely not your everyday board game designer. For most other designers there is a pattern, either thematic or mechanic. For Vlaada, not so much. His portfolio contains heavy thematic games like the excellent and beloved Mage Knight Board Game, civilization building monster of a game Through the Ages: A Story of Civilization and it's second version Through the Ages: A New Story of Civilization which is currently ranked #2 overall on BGG, space themed Space Alert and Galaxy Trucker and of course, last year's winner of German Game of the Year award, Codenames. Most of his games are hybrid with a deep theme and euro style mechanics. He is also known for a unique style of rulebooks which are often divided into several learning scenarios and use humor for explaining the rules. To learn more about him and his games, check out the older Radio.cz interview or a newer interview by Dave Neumann of Pocket Tactics. Title image created from BGG image by Russ Jackson.